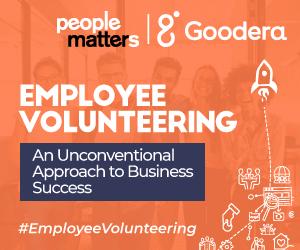 Goodera, India’s largest volunteering ecosystem that delivers impactful volunteering experiences, in partnership People Matters, Asia's leading platform for people and work, today released the first Indian study conducted on ‘Employee volunteering’. The survey “Employee Volunteering in India: Survey & Trends Analysis - VISTA 2018” highlights how corporates perceive and implement volunteering for their employees and reflect on emerging trends in employee volunteering. Close to 170 organizations participated in the survey, of which, half have more than 1000 employees. “Findings from this study substantiate the Government’s efforts for making employee volunteering a national priority. While it’s a known fact that the society at large need more contribution from each of us, one of the key insight is that many employees were keen to volunteer for social causes but didn’t have access to right opportunities. And we need to bridge these two together for creating a lasting impact”, added Humbad. Speaking on Employee Volunteering, Ester Martinez, CEO and Editor-in-Chief shared, “Employees are demanding more purpose than pay-cheques from their employers. Employee volunteering is seen as a potent way to engage employees who are always in search of purpose-driven work. 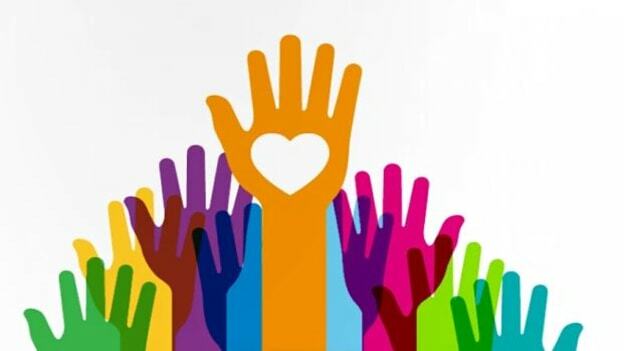 The survey highlights that companies support their employees to volunteer (88 percent). On the other hand, majority of organizations did not have a formal program in place but provide support to employees on a case to case basis (42 percent). However, interesting only 26 percent employees said they have an employee volunteering policy at place. It was also found that organizations are leveraging employee volunteering as a tool to promote team collaboration and alignment (53 percent), learning and development (49 percent), align workforce to their organization’s purpose (49 percent). Some of the insights also highlighted that employees in the evolving workforce are looking at companies that have a purpose which goes beyond just business. Most of the respondents agreed that employee volunteering also helps employees relate better to the company values and culture. It was also noted that volunteering programs that encourage soft skills learning, and personality development along with social good are more sustainable in the long run. Based on the survey, the study offers recommendations to businesses to create meaningful social commitments and improve their existing employee volunteering programs. These recommendations are in line with creating impact through a sustainable business commitment for societal causes through employee engagement. Goodera has helped companies such as Amazon, Mahindra Finance, Hexaware Technologies and many more to engage and encourage volunteering amongst their employees. Over 600,000 employees across 200 companies are using Goodera to volunteer, globally. Goodera is a state of the art technology platform that helps companies manage employee volunteering initiatives as also measure and communicate ROI of CSR and Sustainability practices. Currently, 180+ corporates (24 in Fortune 500) including P&G, Target, Dell, GAP, Abbott, Amazon are using the Goodera platform across 63 countries to track, monitor and measure 250mn+ development capital annually to 6mn beneficiaries.